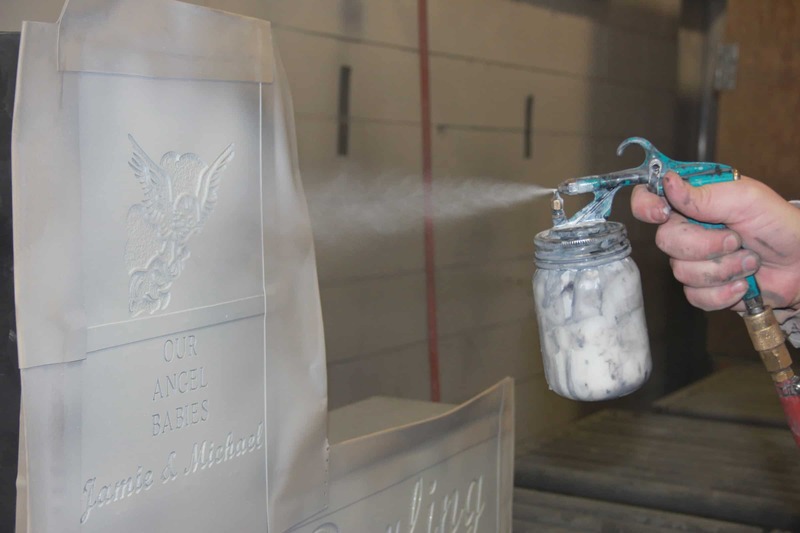 From searching for a unique headstone to laser etching a portrait, Salem Stones offers design assistance to every customer. To request a laser etching and sandblasting catalog, call 866-834-1219 or contact us. 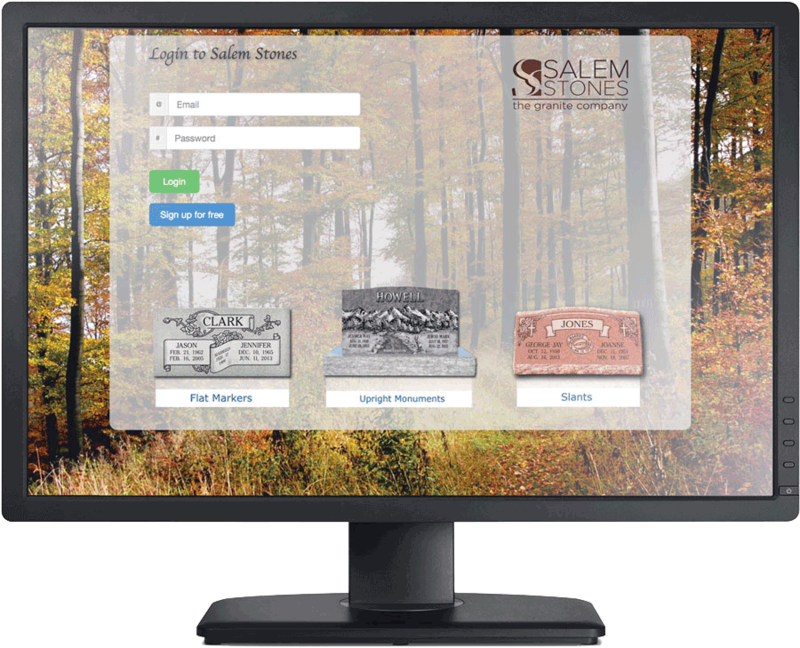 We also offer an online design tool called Salem Select that allows users to choose, design and order monuments anywhere, anytime, in just a few clicks. Customers can create their own unique memorial and track their order. We offer this value-added service to your customers for additional profit potential.